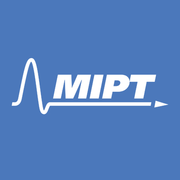 Moscow Institute of Physics and Technology (know informally as MIPT or Phystech) is one of the world’s most prestigious educational and research institutions. It trains highly-qualified specialists in theoretical and applied physics, applied mathematics, informatics, biotechnology and related disciplines. Phystech was founded in 1951 by Nobel Prize laureates Pyotr Kapitsa, Nikolay Semyonov, Lev Landau and Sergey Khristianovich. From the beginning, MIPT has used a unique education system, known commonly as the "Phystech System." The general principles of the Phystech System are rigorous selection of gifted and creative young individuals, extensive education in fundamentals, involvement of leading scientists in students' education, and use of the best research laboratories in the country to conduct education in an atmosphere of research and creative engineering. Among the MIPT alumni are Nobel Prize winners, founders of world-famous companies, well-known cosmonauts, inventors, engineers. All Phystech students and alumni proudly call themselves "phystechs," using the same word with a low-case letter 'p'. Коммерциализация результатов НИОКР via Coursera 7 weeks long 7 weeks long 29th Apr, 2019 No reviews yet. Capital Markets and Financial Institutions – How to Survive Them via Coursera 6 weeks long 6 weeks long 29th Apr, 2019 No reviews yet. Системное мышление via Coursera 3-6 hours a week , 8 weeks long 3-6 hours a week , 8 weeks long 29th Apr, 2019 No reviews yet. Рынки капитала и финансовые институты или "О чужих деньгах" via Coursera 6 weeks long 6 weeks long 29th Apr, 2019 No reviews yet. Бизнес-процессы, организационное проектирование, механизмы и системы управления via Coursera 4 weeks long 4 weeks long 29th Apr, 2019 No reviews yet. Mergers and Acquisitions – The Relentless Pursuit of Synergy via Coursera 5 weeks long 5 weeks long 29th Apr, 2019 No reviews yet. Электростатика и магнитостатика via Coursera 10 weeks long 10 weeks long 6th May, 2019 No reviews yet. Переходные процессы в электрических цепях via Coursera 6 weeks long 6 weeks long 6th May, 2019 No reviews yet. Введение в системное проектирование via Coursera 4 weeks long 4 weeks long 6th May, 2019 No reviews yet. Методы и инструменты системного проектирования via Coursera 3-4 hours a week , 5 weeks long 3-4 hours a week , 5 weeks long 6th May, 2019 No reviews yet. Структура презентации технологических и инвестиционных проектов via Coursera 6 hours a week , 4 weeks long 6 hours a week , 4 weeks long 13th May, 2019 No reviews yet. Искусство системного инжиниринга и менеджмента 2.0 via Coursera 5 weeks long 5 weeks long 13th May, 2019 No reviews yet. Python для анализа данных via Coursera 7-9 hours a week , 6 weeks long 7-9 hours a week , 6 weeks long 13th May, 2019 No reviews yet. Интернет-предпринимательство via Coursera 5 weeks long 5 weeks long 15th Apr, 2019 No reviews yet. Маркетинг инновационных продуктов via Coursera 3-4 hours a week , 7 weeks long 3-4 hours a week , 7 weeks long 15th Apr, 2019 No reviews yet. Основы разработки на С++: коричневый пояс via Coursera 8 hours a week , 6 weeks long 8 hours a week , 6 weeks long 17th Apr, 2019 No reviews yet. Введение в информационный поиск via Coursera 6-8 hours a week , 6 weeks long 6-8 hours a week , 6 weeks long 17th Apr, 2019 No reviews yet.